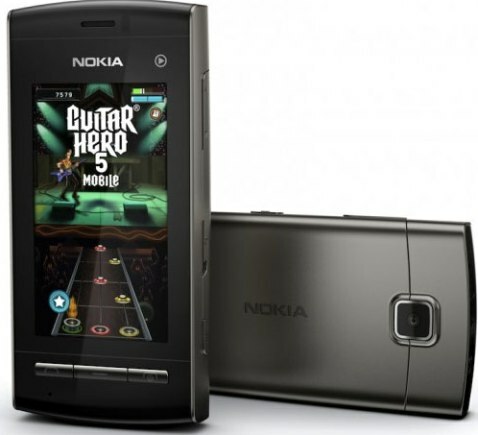 The well-known market leader for mobile phone industry, Nokia has unveiled its new touch-enabled, music-oriented cellphone, named as Nokia 5250, which is featured with a wide (16:9) 2.8-inch touch screen, 2 megapixel camera, free copy of Guitar Hero 5 Mobile and microSD memory expansion slot, based on Symbian^1 operating system. In certain areas, Nokia 5250 will include the all-you-can-eat music offering – Ovi Music Unlimited. Besides, the users also can easily access their favorite contacts and popular social networking sites like Facebook and MySpace right from the Nokia 5250’s home screen. Thanks to Nokia 5250’s long battery life, users can enjoy up to 7 hours of talk time, up to 18 days of standby time or up to 24 hours of music playback. Nokia 5250 which measures 104 x 49 x 14 mm is expected to be available by Q4 2010 for around €115.